If you have ever been to any pro volleyball tournaments either on the beach or in large parking lots, you will notice the massive stadium like structures that are built to shade the guests in attendance and position them in a multi tiered formation. 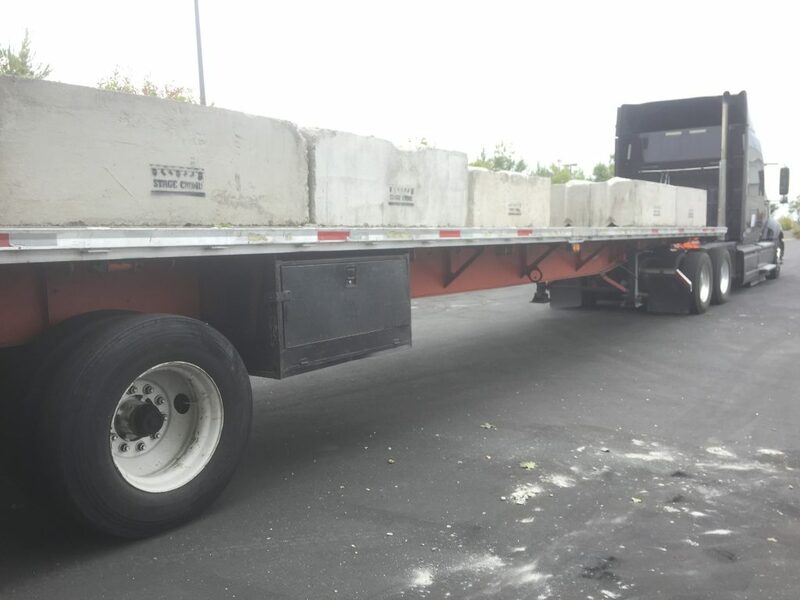 Recently, Stage CMDR was selected to provide 119 of its 3500 pound “Commander Blocks” to secure the temporary structures that were built for a volleyball tournament. That equals to 416,500 pounds of dead weight that was provided from Stage CMDR’s manufactured equipment. It took a total of 19, 48’ flatbed semi trucks to deliver the equipment to the job site. Coordinating 19 semi trucks to deliver and pick up each hour on the hour is no easy task and is a task not very many companies can execute, let alone execute on short notice.